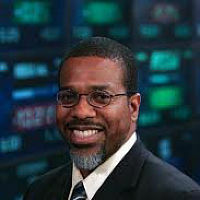 Prior to joining NASDAQ, Mr. Johnson served as Chief of Staff for Congressman Gregory W. Meeks of New York. In this position, Mr. Johnson managed Congressman Meeks’ Capitol Hill office and supported him on the House Financial Services Committee. He advised Congressman Meeks on all Committee legislative action and the development of legislative initiatives. As Chief of Staff to an active senior member of the Foreign Affairs Committee, Jameel has had extensive interaction with foreign officials stateside and abroad, which included assisting Congressman Meeks with the development of his pro-trade agenda. Jameel demonstrated leadership by serving as the President of the bipartisan House Chiefs of Staff Association and as the President and Co-Founder of the Congressional Muslim Staff Association. Previously, Mr. Johnson was executive director of the Rockaway Development and Revitalization Corp. in Rockaway, New York. Mr. Johnson also served as a business development specialist for former Congressman Floyd H. Flake in Queens, New York. Mr. Johnson earned a B.A. in Economics from the University of Virginia and holds an M.B.A. in International Finance from St. John’s University.